Teen Mom NYC: This Mother's Day listen to what teen moms want you to know. This Mother's Day listen to what teen moms want you to know. When I became pregnant at 15, it was very clear from that moment on people were going to treat me differently. 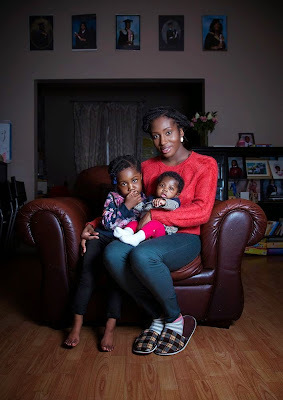 I got very little support and respect because most people believed the stereotype that all teenage mothers are failures and will never amount to much. The huge focus on preventing teenage pregnancy has turned teen moms into cautionary tales and scapegoats when in reality we are women and mothers who need support and encouragement. We are often spoken about and condescended to, but we are rarely given the chance to speak for ourselves. What is the biggest misconception about teenage parents? "One of the most common misconceptions is that teen parents are irresponsible. We are very responsible. We often have jobs, we might be going to school, and we're taking care of our children all while dealing with daycare." "That we don't know how to care for the baby and that we are just babies ourselves." What do you wish society understood about teen parenting? What would you add? Let me know below in the comments, on Facebook, or on Twitter.